Editor’s Note: Move over autonomous cars. One privately funded company is banking on flying solar pods as the next mobility solution for congested metropolitan areas. Imagine public transit that is green and car-free? A privately funded system that can transform cities and metropolitan areas to be green will soon be coming to a city near you. Transit XTM is microtransit that can replace cars, buses, trains, trucks, ferries, and even short flights with the convenience, capacity and lower cost of flying solar pods. 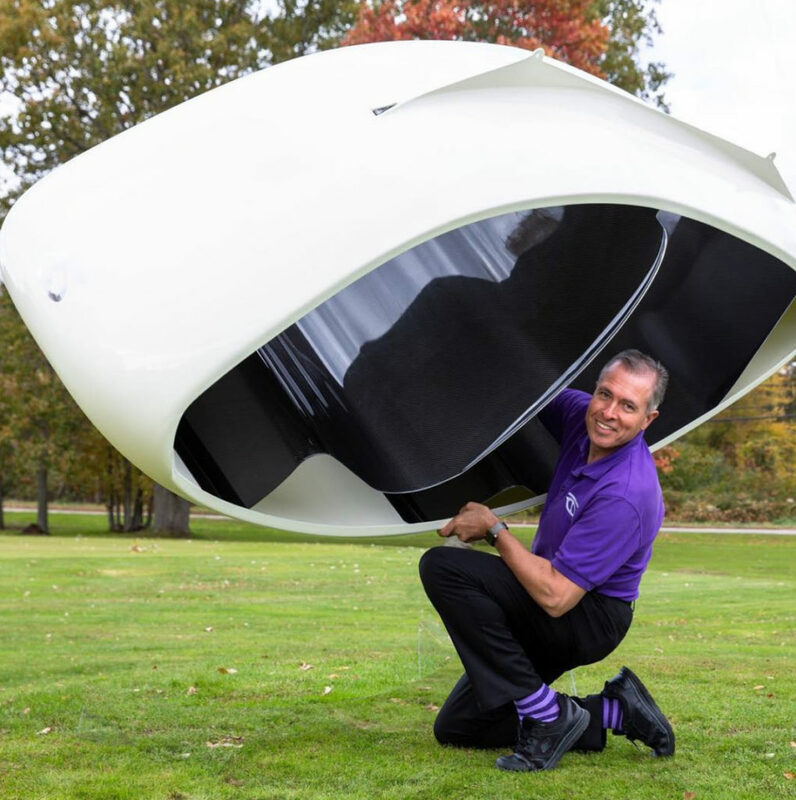 As you might expect, flying solar pods are powered by 100 percent renewable solar energy that is carbon-free and generates zero pollution. These aerial capsules are more than 10 times more efficient than electric vehicles and will cost fares that are similar to existing public transportation. Featuring nonstop door-to-door travel at 45 mph (72 km/h) along main roads and 242 km/h (150 mph) along highways or railways, the pods fly from place to place. Compared to roadways, the Transit X system is 100,000 times safer. In fact, its safety record is similar to commercial airlines, or that of existing 100 percent automated, grade-separated transit (Level 6 Autonomy). Transit X’s first pilot projects will break ground in 2019 and will begin operations in 2020. Installation is fast and not disruptive to neighborhoods, according to the company. Its first public demonstration took place in October 2018 in Leominster, Massachusetts. Privately funded Transit X says it solves finance issues and provides non-stop, zero wait, 24×7, resilient, all-weather service that is quiet, attractive and safe. It addresses many issues without government funding and has lower risk than other options. Expect this system to be the first of many disruptive technologies that appear on the transportation scene to help us replace polluting private vehicles with pollution-free public systems. Special thanks to Harry Epstein for letting us know about this remarkable new technology. To watch the video, click here.